With this reread, this book drops off my favorites shelf on Goodreads. It’s obviously a very good book, but it wasn’t as good as my memory made it up to be. Not much has changed for Will Henry. Dr. Warthrop still is the same man, doing the same odd things. One day, they get a knock on the door from a frantic man who says that he was poisoned and only Warthrop can give him the cure. He has with him a gift from another monstrumologist. But, I wouldn’t exactly call it a gift. From there, the book goes on an adventure that takes us through so many fantastic places and odd things. The most interesting thing is to watch the relationship Will has with Warthrop change and morph as the story goes along. And, a huge theme in this book, as I actually said in my original review, is the monstrosity inside humanity. That’s a pretty damn heavy topic to tackle in YA, even if this is definitely geared towards older readers in the genre. I wouldn’t go recommending this series to a 12-year-old. In this story. Will goes through the most change. He is no longer a child, but a man. And, with that, man brings monsters. Could Will be a monster? Could he not be? That’s what’s toyed with in this book. What makes a man a monster and how is that determined. It’s extremely heady stuff to read. I think I only have a couple cons from this book. I wish that the monster had been more described. It was just mentioned and I never could get a visual of it, which is kind of a theme as the series goes on. The first book, the monster is extremely well-defined. The second book, you get a picture but it’s more illusive. In this, it’s very illusive and I don’t think I ever quite got a full picture of it. And I think that’s the point of this book and series. It undergoes quite a transformation, one that I’m alternately okay with and troubled by just because I like and don’t like it. 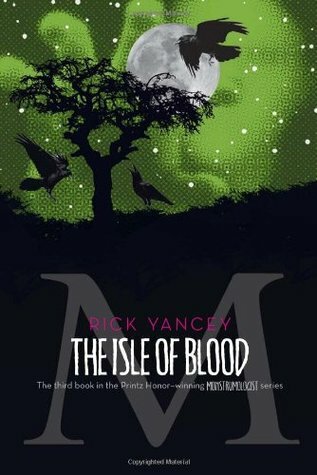 I have my issues with this series, but I still think it’s one of the best series of YA horror that I will probably ever read, and I will happily return to this again in a few years. What’s a book series that completely changed from start to finish? Did you like the change or dislike it?